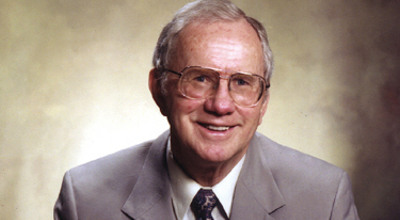 CHARLOTTESVILLE, VA (ANS) — Dr. Robert (Bob) V. Finley, who led a reformation in foreign missions and founded International Students, Inc. (ISI) and Christian Aid Mission, departed to be with Christ His Saviour on March 22, 2019, at the age of 96. From 1948 to 1950, Finley spoke in evangelistic crusades throughout Asia, preaching with World Vision and Samaritan’s Purse founder, Bob Pierce, in South Korea. Since its inception, the Christian Aid Mission has provided prayer and financial support to thousands of indigenous ministries based in lands of poverty or persecution. “His character, knowledge of the Bible, and focus on the Great Commission have shaped my life, the lives of those who have worked alongside him in ministry, as well as hundreds of missionary leaders from overseas,” said his wife Cynthia Finley. “Only eternity will reveal the full impact of the man called Bob Finley, who touched millions around the world through his unique vision,” said John Thannickal, an indigenous Christian leader in India.